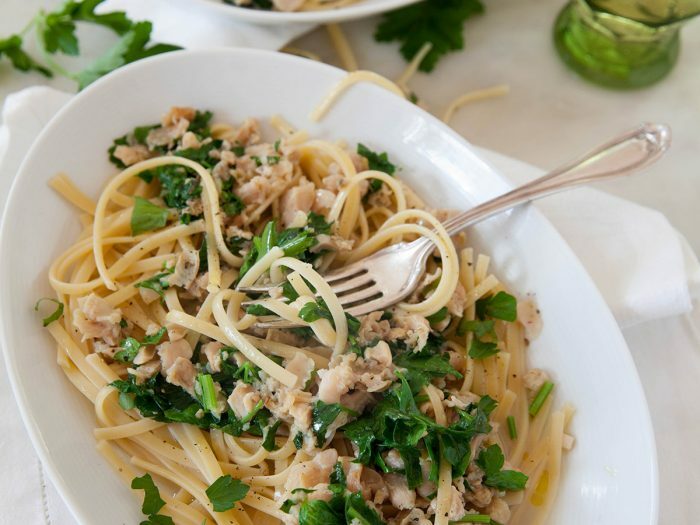 Linguine with White Clam SauceMildly garlicky and briny-sweet, this classic sauce can be put together while the linguine is boiling, providing the clams are shucked and chopped beforehand. Look for tiny to small little neck clams. When they are shucked, the meat should be pink and plump, with a clean, fresh smell. Serve the linguine with a bone-dry white wine before a fried or grilled fish dish.